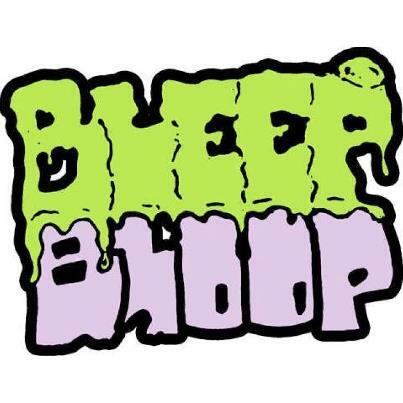 Bleep Bloop is a bass music producer out of Northern California and the founder and head of 710 Records. 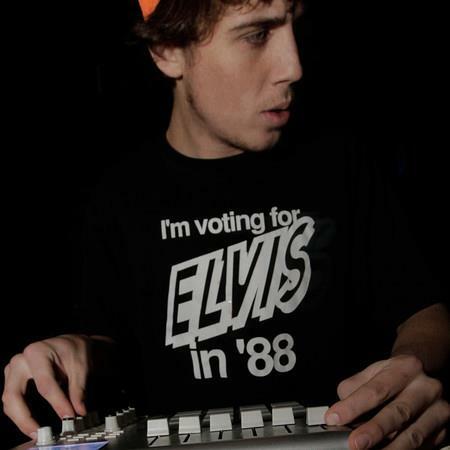 Always pushing the envelope with his productions, his style spans from acid trap and maxamilism to mutant club and juke. His sets are poly-tempo, fun filled sonic journeys. Bass dipped in liquid question marks, and rolled up in lazers with swans reflecting elephants. His music, simply put, is the noise your face makes when it drips off. LiS: What is your newest release? Tell us more about it, what is its premise, what are the feelings involved? BB: I have a release coming out very, very soon on the Portland based Net Label/Collective STYLSS that is run by my friend QUARRY. It is going to be a split release with the Dutch producer Subp Yao. There will be three original songs from each of us and a ton of remixes from a slew of international artists. I’m super excited for this release because I have been digging Subp Yao‘s releases on Saturate Records for quite some time now. LiS: Describe the workflow/process you use to create a track. BB: Well I usually make my best music in the morning. So I like to wake up in the AM, take a couple of dabs, and jump in. Sometimes a song will start with a drum beat, and sometimes it will start with a synth, it depends on what the first thing I do that catches my ear is. Recently I’ve been really into finding some sort of obscure sample to inspire a track. BB: As of now I just use Ableton and a various VSTs to produce. Some of my go-to’s are the Korg Legacy Emmulator series, Lexicon Reverbs, and the Waves TubeSaturator. I recently got my first midi keyboard. Up until now I had been sequencing in all the notes, and I still do for the most part because I’m not very good at keys. When I play out I use Ableton with an Akai MPD 24 as a controller. I like the discontinued 24 compared to the 26 because the 24 has 2 more knobs. LiS: Tell us a bit about the music scene in your area. BB: The music scene in my specific area is pretty sparse. There is one dubstep/glitch-hop weekly in the area and the occasional show somewhere else within similar genres. I live about an hour and a half north of San Francisco though, so if i want to go see some fresh tunes there is usually at least one cool sounding show a week down there. Non electronically, there is a pretty thriving local music scene in Sonoma County, where I live. A few years back I used to play in local bands, and now the people that I used to be in bands with are semi-successful starving musicians. BB: The first electronic song song that I really loved was “Converting Vegetarians” by Infected Mushroom. I was really into taking psychedelics and listening to them when I was in my early teens. I really liked the “Converting Vegetarians” album because one half of that album was full of songs that didnt use the four on the floor trance rhythm, and that was really the first broken beat electronic music I heard. Then it progressed further when I saw Shpongle at a local festival. I realized that you could make some really cool sounds with the computer and thats what I had always been all about anyways, cool sounds. After that, I went to Nocturnal with a few friends, saw Benga, Skream, and Rusko, fell in love with dubstep, and the rest is history. BB: Musically, I have very broad influences. I really like music with grit, and texture. I would say that Tom Waits, Cab Calloway, Mississippi John Hurt, Parliment Funkadelic, The Wu-Tang Clan, UGK, and Dr. Dre are some of my biggest musical influences. I am also constantly inspired by some of my great producer friends like G Jones, TRiLL MURRAY, +verb, Yheti, ✞ENNI$R✡DM∆N, and many more. Some other huge influences on me are Salvador Dali, Robert Crumb, and Hunter S Thompson. The music business is tough, but there will always be good musicians cranking out good music. I pirated music for years and even though I would eventually like to make money selling it, I understand why people dont want to buy it. Temptation is tough when something is right under your nose. So I release music for free to make it some people dont have to have the moral undertaking of having to steal. BB: I have an alias, you may or may not have heard it. I haven’t put in any time on it recently though. But really most all of my time goes to working on music or working on 710 Records. BB: I would love to tour. I dont have a tour coming up though. I do have some rad shows coming up though. I’m opening for Kraddy in Arcata on November 16th and I’m pretty stoked on that. And I recently got booked to play a pretty awesome underground. I am available for booking and travel though so if anyone is interested in booking me, please shoot me and email at bookbleepbloop@hotmail.com, I want to come to your city! LiS: Where does the name of your project come from? BB: Well Bleep Bloop is the sound that your face makes when it drips off. pretty simple. 710 is a little trickier. If you turn the number 710 upside down and backwards, you get Oil. LiS: Who are all the artists on 710 records? BB: Wow there are so many people that have released on the label. The compilation had 38 different songs on it and no one contributed more that one song. Some people collaborated on some. But some of the most recent folks that have been on the EP releases we’ve done and upcoming EP releases are people like: +verb, TRiLL MURRAY, †rill Clin†on, G JONES, Yheti, TASO, Caidance, and G Wiz. There are a lot more and it would take forever to name off everyone we were planning on working with, but keep an ear out ’cause it will be cool. LiS: When did you start 710 Records? BB: I guess i started it back in Feburary of this year. I just decided that I wanted to start a record label because there was so much music that was not getting represented well that I would love to be associated with. I feel like if you unite a ton of musicians together everyone gains momentum easier. LiS: How do you feel about the whole trap “movement”, and traps music relationship to southern hip-hop music? BB: I think people are reading way way to far into it. Obviously white kids like me sitting in their room making these beats don’t really know anything about the life that someone who is really posted in a trap house has to live. I hope none of my fellow producers ever have to turn to slangin’ crack and dope out of the back of their house to keep themselves comfortable. And I think that anyone that is really in a position to really be offended by this new wave of “trap” music (INNER CITY DRUG DEALERS), don’t spend enough time on twitter and tumblr and soundcloud, to really be aware that the “EDM TRAP MOVEMENT” is going on. and by the time they do hear about it, all the fad hopping dj’s and producers will have moved on to another hot genre. That being said, I think there is some really high quality music coming out of the “movement” and I think people will continue to make trippy, lush, southern rap influenced, electronic music for a long time, because people have been bobbing their head to those rhythms on that one drum kit for some time now, and probably wont stop soon. 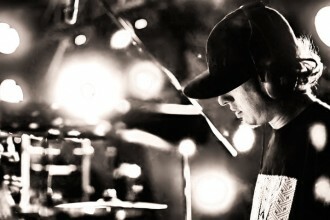 Adam Deitch is Pretty Lights’ New Drummer!